Gregg Byrne joined the Via Evaluation team in 2018. Gregg holds a B.A. in Psychology from St. Bonaventure University (attending on a Division I athletic scholarship). He will graduate from the State University of New York at Buffalo in 2018 with an M.A. in Psychology. He has both progressive and collective experience in the child development field, covering cognitive and social psychology, product research, and applied science. Gregg has a history of interacting with youth and youth projects. His internships include working as an undergraduate school psychologist with the Olean Central School District and as a graduate intern in the Child Development Department at Fisher-Price. His work at Fisher-Price included gender-based research in pre-school-aged children, as well as product testing on infants and children ranging from 3-48 months. 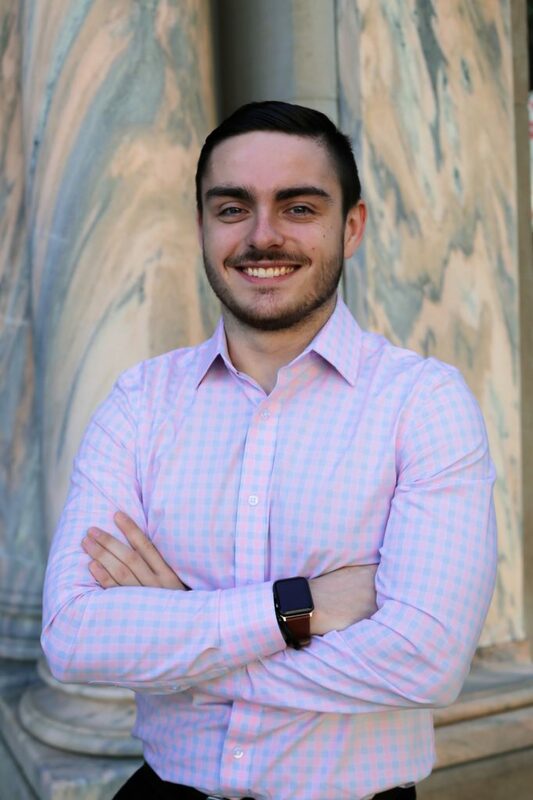 He also worked on child development projects while interning at the University of Texas at Austin, and Fordham University. An accomplished swimmer himself, Gregg was program supervisor for the Monroe-Woodbury Summer Enrichment Program, which involved managing swim programs for individuals aging 3 months to adult — including those for individuals with handicaps and mental challenges. He was also an assistant coach for the Town Wreckers Swim Team, a local swim club. Over the course of his education and work experience, Gregg came to realize that he took pleasure in research — especially after experiencing its meaningful outcome. Working at VIA, where he is able to not only apply his research skills, but also obtain new guidance that enables him to learn new skills, simply fosters his love for research. Byrne,G., Van Heugten, M. (2018). Reading or hearing it: How modality affects the flexibility of novel word representations. Presented at the CUNY Sentence Processing Conference, Davis, CA, March 15-17, 2018. Byrne, G., Bauernschmidt, A., (2016). Effects of Curation on Content Learning. Presented at the Eastern Psychological Association Convention, New York, NY, March 3-5, 2016. Byrne, G., Winterburn, K., Valeri, R. (2015). College students’ attitudes towards tattooed models representing their University. Presented at the Eastern Psychological Association Convention, Philadelphia, PA, March 3-5, 2016. Byrne, G., Winterburn, K., Valeri, R. (2014). College students’ attitudes towards tattooed models representing their University. Presented at the Eastern Psychological Association Convention, Philadelphia, PA, March 5-8, 2015.